Tel Aviv can be an expensive city to live in. Between paying for rent, groceries, toiletries, and nights out, it seems like there is never enough money in your bank account. But it doesn’t have to be. 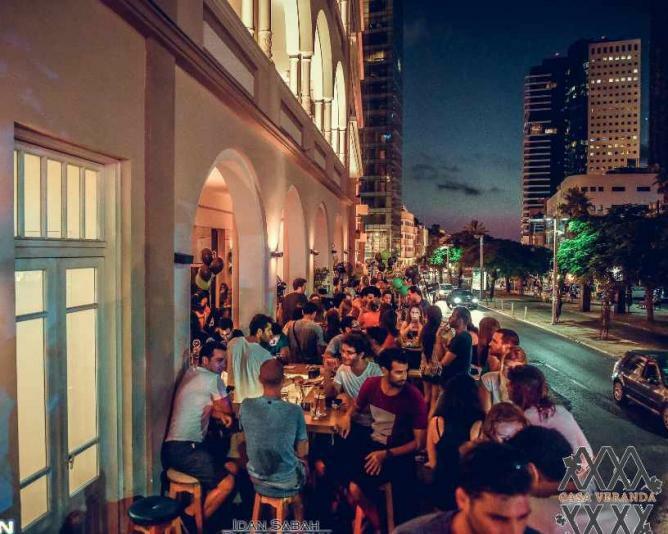 Follow these 13 life hacks for life in Tel Aviv to make every shekel count while having the time of your life. Although you might be tempted to stop at Aroma or the local coffee shop below your apartment, have your morning coffee at home. 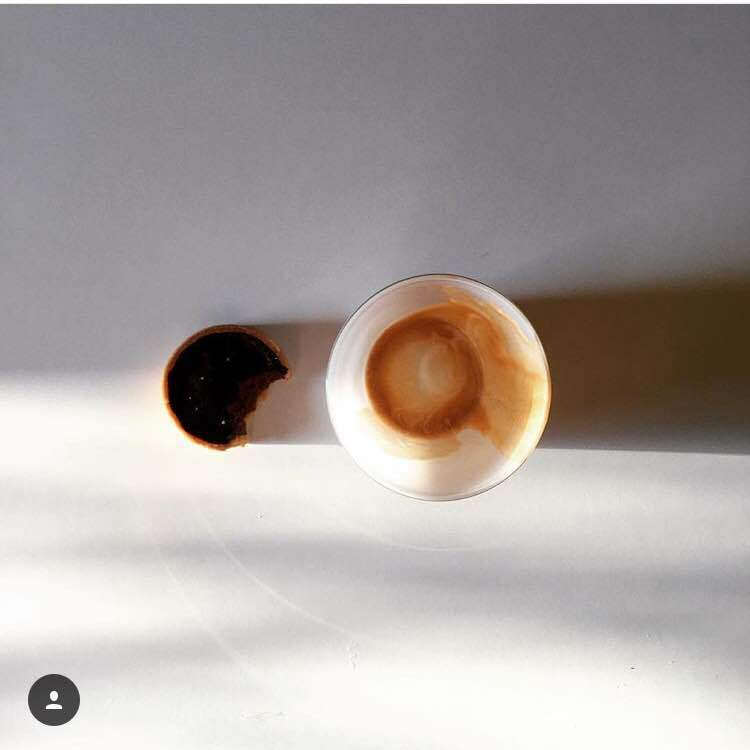 Every supermarket sells various coffee, from Turkish to Nescafé, that can be made at home. Although it may not be as luxurious as an Aroma iced coffee, it’ll save you a lot of money each morning. Tel-O-Fun in Tel Aviv by Nimrod Hofstatter. 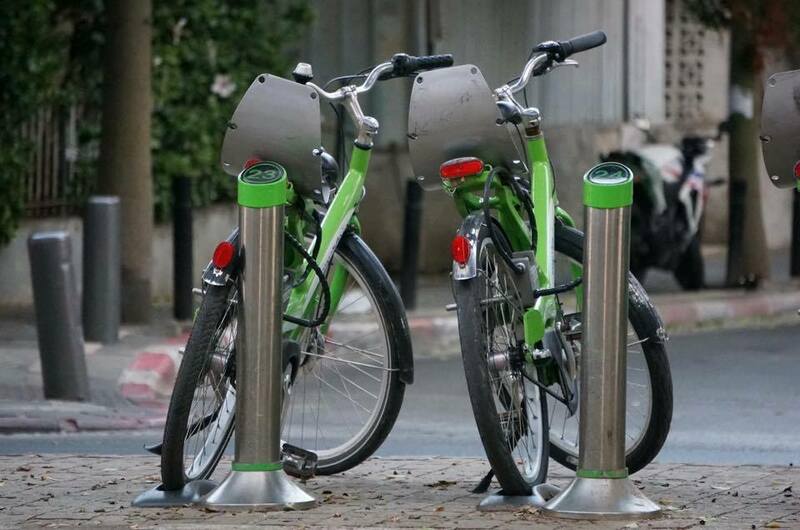 Tel Aviv is notorious for bike thieves. Many bikes are stolen and then sold elsewhere in the city at a discounted price. To make sure bikes aren’t stolen, buy a really strong and good bike lock from any bike store. Also make sure to loop the lock through a strong section of the bike. Another alternative is to use the city’s Tel-0-Fun bike hire dotted conveniently around the city. Buses are the mode of transportation in Israel. Although the buses run quite frequently, they are sometimes unreliable. Moovit gives a live update on bus arrivals, provides the best bus route to a specific destination, and pings when the desired stop is approaching. 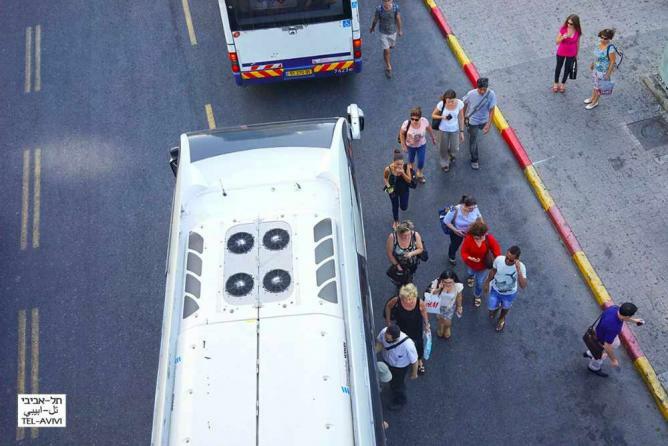 It’s the most efficient and reliable way to take the buses in Tel Aviv. Don’t buy anything at the Shuk for the suggested price. That’s how the vendors deal with tourists. Haggle with them until an agreed upon price is reached. Haggling will save a few shekels here and there, but every little bit helps! Alcohol is expensive in Tel Aviv. A few drinks are usually the equivalent of a meal. Yet there is a bright side to going out in Tel Aviv. Many bars have great happy hour specials, so go after work or school with a few friends to enjoy without spending a lot. To save money and go out later in the night, try a Bracelet Bar (Tangier, Toma, Backy Bar, and Hamezeg are a few popular ones). Pay once for a bracelet; each color bracelet corresponds to difference prices and different alcohol types, so you can drink all night! Contrary to popular belief, Tel Aviv gets very rainy in the winter. Yes, Israel is a desert, but it gets extremely wet in the winter. There are days of endless rainstorms with strong winds. 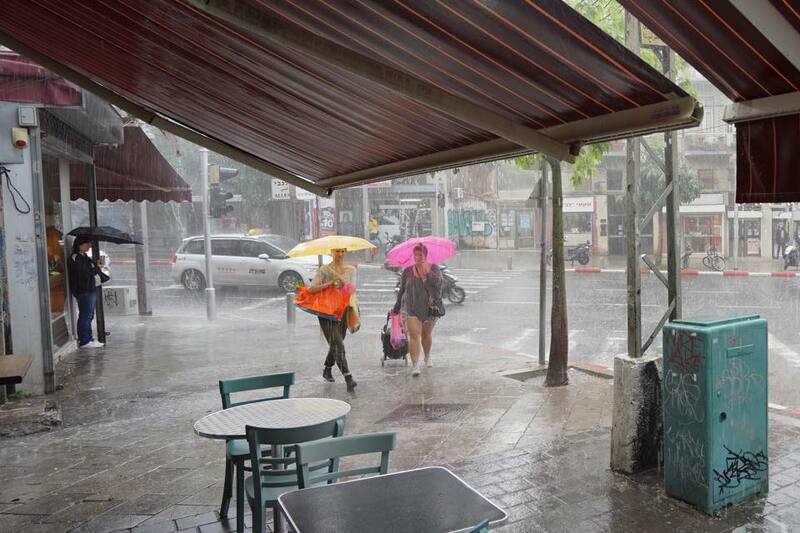 Definitely carry an umbrella around in the winter in Tel Aviv, as rainstorms are often unexpected. 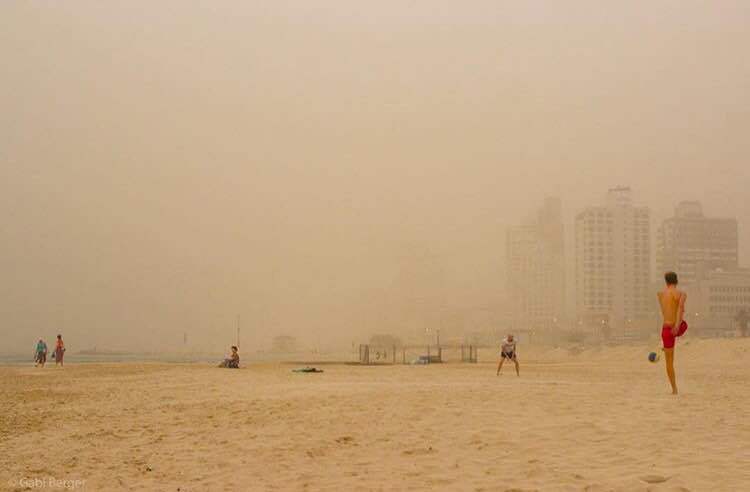 Tel Aviv is a dusty city so be sure to clean the apartment as much as possible. Dust will build up, causing congestion or sneezing. Although it seems like the dust always comes back, it’s worth it to clean at least once a week. A little-known fact is that in some spots in Israel you can buy 1+1 bread after 7 pm. 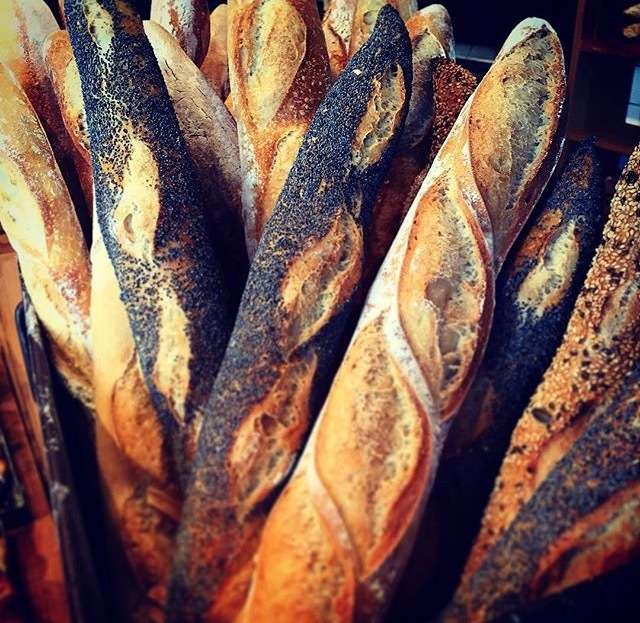 Bread and Co. have this deal every day and most other bakeries do on a Friday afternoon. Don’t buy vegetables at the local supermarket. The fruit and vegetables are overpriced and the quality is not as good as at the shuk. 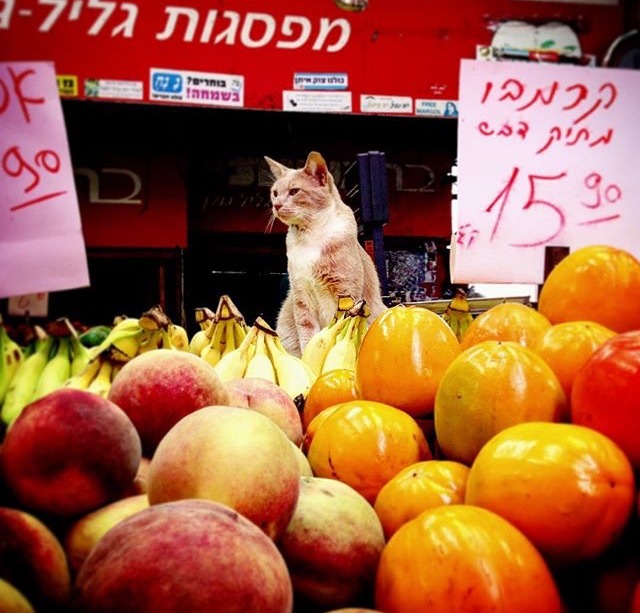 The shuk has fresh produce for a great price, and haggling is always an option to save extra money. Although most people speak English in Tel Aviv, it’s always useful to have some regularly used slang words ready. 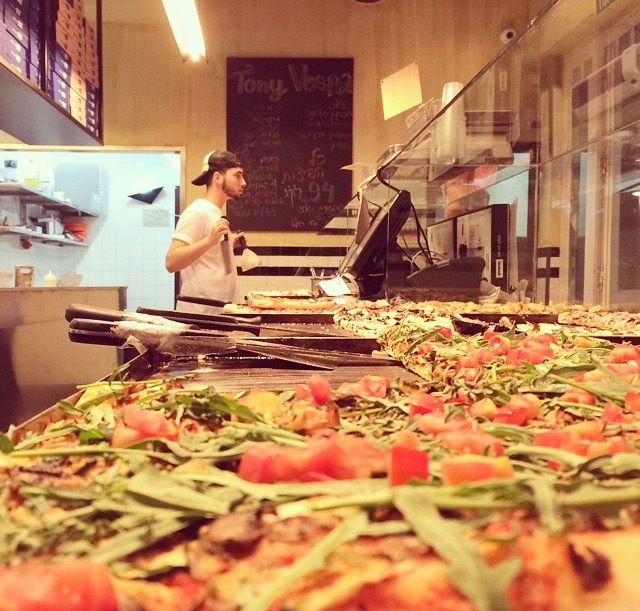 Israelis will be impressed and treat you like a local. A great way to learn is to take Guy Sharett’s Street Wise Hebrew Tour. 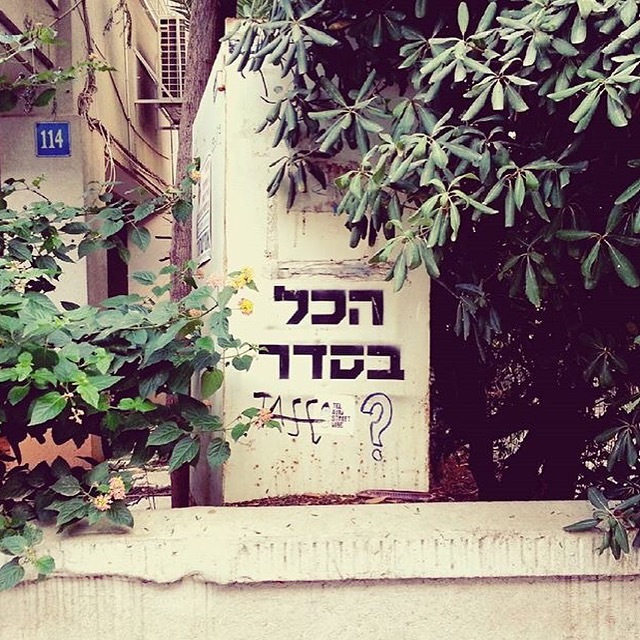 Learn some Hebrew while touring Tel Aviv’s great street art. Do not plan on getting anything done Friday or Saturday. Friday mornings every shop is packed and many supermarket shelves are not stocked. Friday evenings and Saturday nights, the stores are closed. Make sure to do any errands (grocery shopping, visits to the post office/hardware store, trips to the mall) before Friday. That way the stores won’t be too crowded. There are hundreds of amazing restaurants in Tel Aviv, and after a long day at work or school it’s tempting to just order in a favorite dish. But this habit is very expensive. Instead, set a reasonable take out budget and don’t go over it. Having a monthly budget is great either way, and make sure to have some emergency money left over each month. Many cab drivers will take advantage of foreign accents (accent tax) and try to set fixed rates for rides. Unless going to the airport, fixed rates are usually a bad deal in Tel Aviv and the driver is trying to overcharge. If the driver suggests a fixed price, always say no and ask for the meter.